Now that we're in the third week of NaNoWriMo and moving into the home stretch, it's a good time for a post about what to do after NaNo. And I have the perfect guest writer today to share tips on what to do with your NaNo baby after November. Stefanie Spangler Buswell is not only an author, but an editor at RedAdept editing (which also happens to be the editing house I use and highly recommend :-). And be sure to enter the Rafflecopter Giveaway at the end of the post for your chance to win a bundle of books from 5+ authors! There’s something about NaNoWriMo that inspires authors. Knowing all those other writers are toiling away at their own WIPs really pushes others. 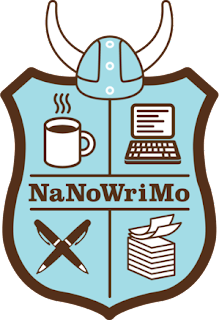 Many of my clients love to participate in NaNoWriMo. No more procrastination, and no more excuses. It’s time to get the ideas down and out of your head. But once the glorious euphoria of NaNoWriMo fades, that free flow of ideas generally leaves an author with a messy first draft. But that’s okay. There are several steps you can take to get your writing ready for editing and publication. During NanoWriMo, you might have done a little more pantsing than usual, so a reverse outline is a great way to ensure that your story comes together in a cohesive final draft. Start by summarizing the basic plot: characters, goals, and obstacles. Then, from memory, write out the major plot points. Next, sit down with your outline and your manuscript, ready to take notes. Most stories change as they come out on the page, so be aware of leftover plot points that didn’t pan out in the end. Your reverse outline should help you find plot holes and decide what needs reworked, cut, or expounded upon. Take time to research points of your story that you couldn’t stop to check while meeting your NanoWriMo word count. If you’re writing a detective novel, check into police procedure. If you’re writing a fantasy, you might need to ask an expert how to properly wield a sword. Google the names of famous people and places to check for spelling. Don’t be afraid to rework parts of the story based on your research. Pore over your story, looking for repetitive descriptions of characters and locations. Double-check for conflicting descriptions leftover after you made changes to characters, plot, or locations. And remember, great descriptions should flow with the story, not read like a grocery list of characteristics. As you’re rereading, you’ll probably notice repetition of certain words or sentence structures. Shake things up a bit with fresh sentence structure and spend time with a good thesaurus. I really like Thesaurus.com because it brings up synonyms for words that are similar to the one I searched for. So I don’t have to get it exactly right to get close. Beta readers are a fantastic resource. These readers aren’t editing your work, but they are going to read your story and give you honest feedback about the strengths and weaknesses of it. Find people who are serious readers, ones you trust to give honest criticism. You might decide to put your story through content editing, line editing, and/or proofreading, since it’s always important to have a professional put eyes on your work before your put it out into the world. You want your book to represent the level of writing your readers expect of you. But remember, the best editors are busy, so don’t wait until the last minute to schedule the work. After the rigorous pace of NanoWriMo, it’s entirely possible that you’ll spend more time on revisions than you spent on writing. Hang in there, and remember that your efforts will all be worth it when you have that polished final draft. 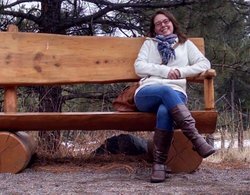 Stefanie Spangler Buswell has a bachelor of arts from Western Illinois University, and she tried out a few other careers before settling down to read books for a living. Books and reading have always been her passion. So she's excited to be a part of creating great books. Stefanie lives in Central Illinois with her husband and daughter. She is currently the executive publisher assistant and a line editor at Red Adept Publishing. When she's not editing, she enjoys gardening, knitting, and forcing others to read her favorite books.